Daikichi Imura, the magistrate of Taipei Prefecture under Japanese Colonial Government, built the Beitou Public Bathhouse in June 1913, which was the largest bathhouse in East Asia at that time. The design of the bathhouse was based on the Mount Izu Hot Spring Bathhouse in Japan. After World War II, the Beitou Public Bathhouse was abandoned due to constantly changing institutions in charge. 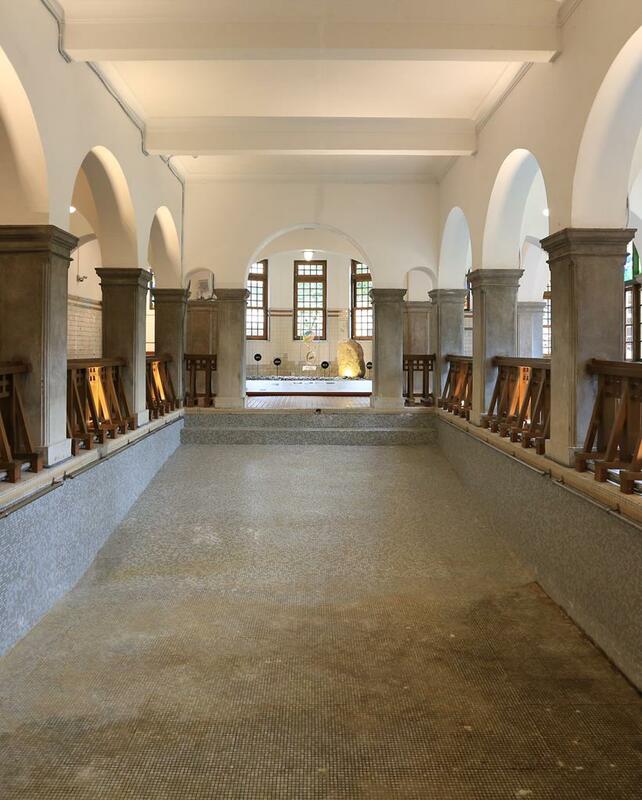 In 1994, a group of teachers and students from Beitou Elementary School discovered the deserted bathhouse on a field trip of local culture course, and petitioned for the conservation of it. The Beitou Public Bathhouse was finally declared Municipal Monument on February 20, 1997. After certain restorations, the Beitou Hot Spring Museum was open to Public on October 31, 1998. 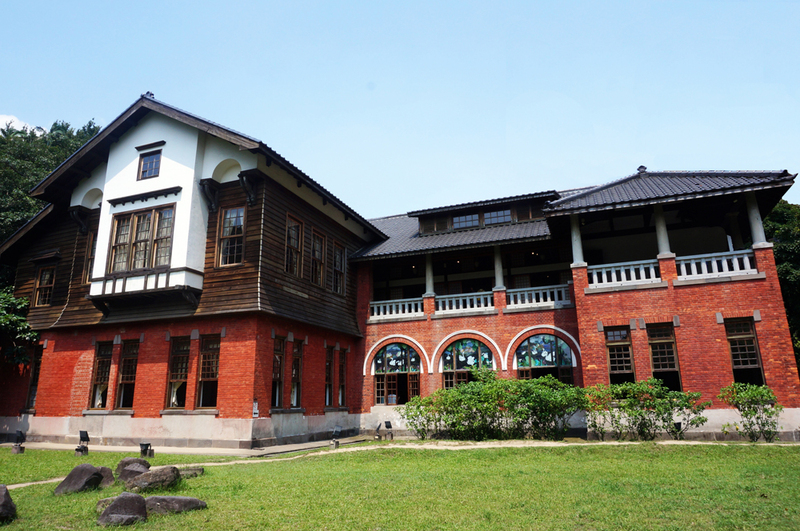 As the very first building to be salvaged by the community and converted into a museum, the Hot Spring Museum has become a symbol of Beitou culture, also serving as the core of hot spring culture in Beitou. It is often viewed as the cluster of the rich Beitou local culture and resources. The flourishing hot spring tourist industry in Beitou brought in Japanese geishas and nakasi musicians. Certain distinguished cultural phenomena, such as express delivery of nakasi musicians and bar attendants by scooter, as well as unique Taiwanese cuisine were developed. 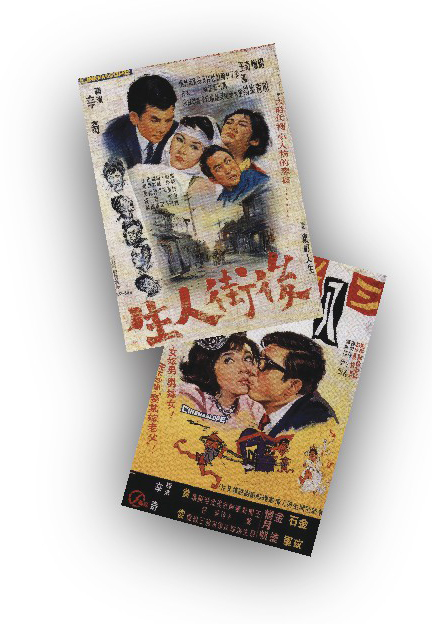 Beitou's hot spring hotels also provided venues for the golden age of the Taiwanese film industry between 1960s and 1970s, making Beitou as the Hollywood of Taiwanese cinema. In recent years, the promotion of folk music and yueqin (moon guitar) have also become the focal point of events held in Beitou in autumn. Beitou's distinctive local culture shines through in the museum's collections, displays, educational activities and events. Due to its historical significance and its landmark cultural events and activities, Beitou possesses a distinguished charm. In 2011, Beitou was awarded 3 stars by Michelin for best tourist attraction due to its distinctive natural scenery, history, culture, customs, and convenience of access by public transportation. The building occupies more than 2,300 square meters over two floors. The first floor was built of brick and the second of wood. The building displays a mixture of Japanese and Western construction styles. It was designed by Moriyama Matsunosuke, who also constructed many other significant buildings, such as the Office of the Governor General of Taiwan and the Tainan State Hall. 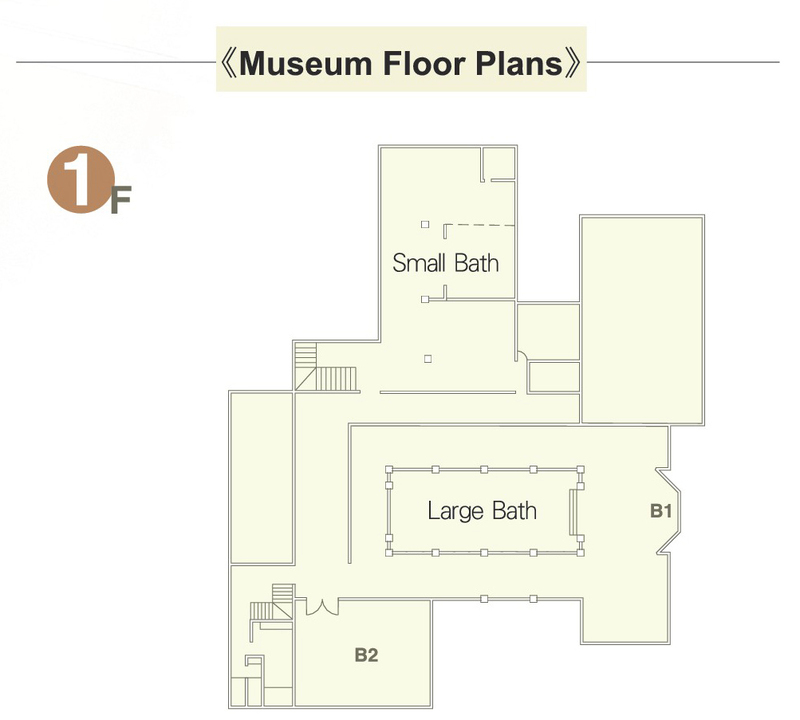 The first floor consists of the bathing area, while a resting area occupies the second floor. When visitors were finished bathing and changing clothes on the first floor, they could proceed to the second floor's tatami lobby to take a rest, have a cup of tea or a meal, play chess or walk to the balcony to enjoy the beautiful scenery of the Beitou Creek. The Japanese-style pavilion at the front entrance is where rickshaws stopped in the past, and now tourists can take a rest. Black tiles from Japanese times can still be spotted on the roof. Keep an eye out for these exquisite antiques. The lobby, which has tatami mats on the floor, was built in a traditional Japanese style. Visitors could rest, enjoy a cup of tea or play chess here. This area is now the museum's event hall. A brief introduction of the restoration of Beitou Hot Spring Museum and Beitou in the old days. A great place of enjoying the scenery around the museum. In the early days, Beitou was dotted with hot spring hotels. Combining beautiful scenery and its unique atmosphere, Beitou was like a natural film studio. Over 100 films were shot in Beitou, winning Beitou the reputation of “the Hollywood of the Taiwanese film industry.” The splendor of old Beitou can still be uncovered today by watching these early Taiwanese films. A chronicle of Beitou's development and the Museum itself can be seen here, along with the art work of the event "Painting Beitou Together", inviting local schools and communities to participate in the drawing of the chalkboard wall in the Special Exhibition Area. In order to enhance public understanding of Beitou, this event focuses on the depiction of Beitou’s natural and cultural landscapes. Watch the orientation film (about 14mins) of Beitou Hot Spring Museum here. Among more than 4000 minerals in the world, the only toponym named after a Taiwanese place is Hokutolite, which is produced when the green sulfur hot spring water from Hell Valley passes over lands of the Beitou Creek. The environment and conditions required to create Hokutlite are therefore unique. It takes about 125-130 years for a single centimeter of Hokulite to crystalize; hence, it's fairly rare. A piece of Hokutolite weighing 800 kilograms is the precious collection of the Hot Spring Museum. Next to the Hokutolite is the Memorial Yueqin (moon guitar). 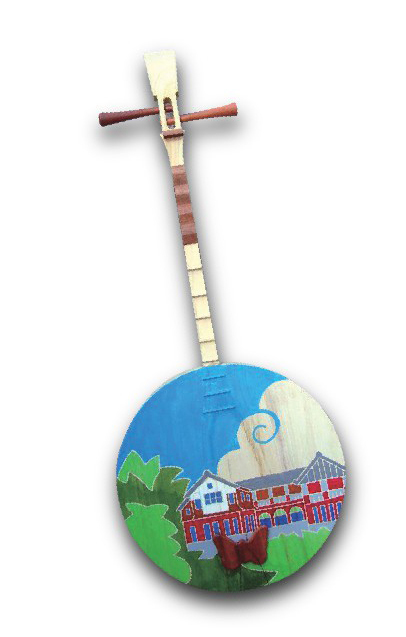 Local musician Chen Ming-chang organizes all kinds of activities, including lectures, performances, exhibitions and workshops to contribute the preservation and promotion of yueqin (moon guitar) culture. 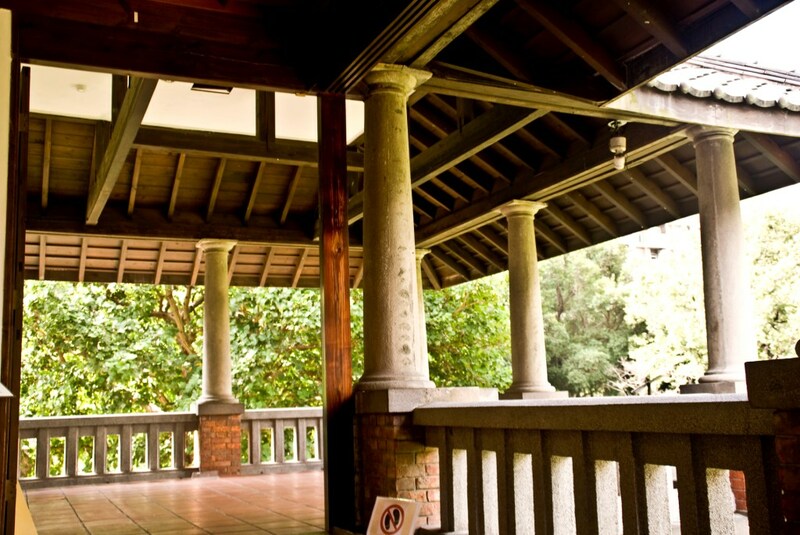 2013 was the 100-year anniversary of the establishment of the Beitou Public Spa. The Taiwan Yueqin Folk Song Association, artist Yang Yeh and installation artist Aguce worked as a team to organize the event. The exhibition included activities such as painting of music instruments and installation art, and the event organizers donated a “Blessing of Capsulate Box”No. 100 Memorial Moon Guitar to the museum, to leave a mark on 100 years anniversary. The rebirth of Hot Spring Museum shows the unifying effect of the community in Beitou. The visitors can get a glimpse of Beitou's past and future by taking a look at the displayed chronicle scroll, record of major events of Beitou and old maps here. At nine meters in length and six meters in width, the Large Bath was the biggest bath in East Asia by the time it was built and mainly for the use of male guests, which were in standing position while taking a bath here. The ratio of the bath and the surrounding arch hallway, lined pillars and the arched stained glass windows is 6:4. This ratio shows organizational beauty, seen also in the grand and magnificent Roman baths. Besides, the stained glass windows are one of the most notable features of the building, giving the bath a touch of elegance. The smaller baths were reserved primarily for female guests. Women at that time rarely took spa public baths alone. They usually went with family members. As such, the layout of the Beitou Public Baths highlights the conservative and male-dominant nature of society at the time. Take the Danshui (red) MRT Line to Beitou Station, then transfer to the Xinbeitou Branch Line and get off at Xinbeitou Station. 1. Maximum capacity is 200 persons. Please change your shoes into indoor slippers provided at the entrance or purchase a pair of cloth slippers. Please ask our staff if you need any assistance. 2. Photography is allowed for personal usage. No commercial or event/wedding photography is permitted in the museum. To avoid blocking the visiting path, use of tripods is not allowed. 3. 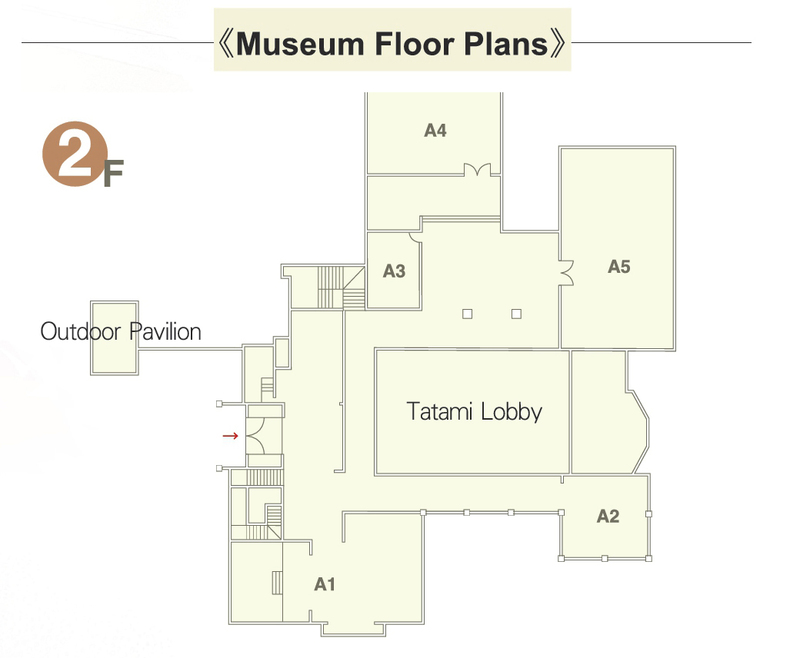 Due to the narrow corridors of the museum, the usage of baby strollers or wheelchairs is not recommended. The website of Beitou Hot Spring Museum's virtual tour is online. Check it out at https://goo.gl/vWuPjC.